It sure is nice to bring along a few creature comforts even when you're headed way out there. The Princeton Tec Helix Backcountry is a compact, lightweight lantern which puts out a bright beam that's easy on the eyes - perfect for around camp or in your tent. It sure is nice to bring along a few creature comforts even when you&apos;re headed way out there. 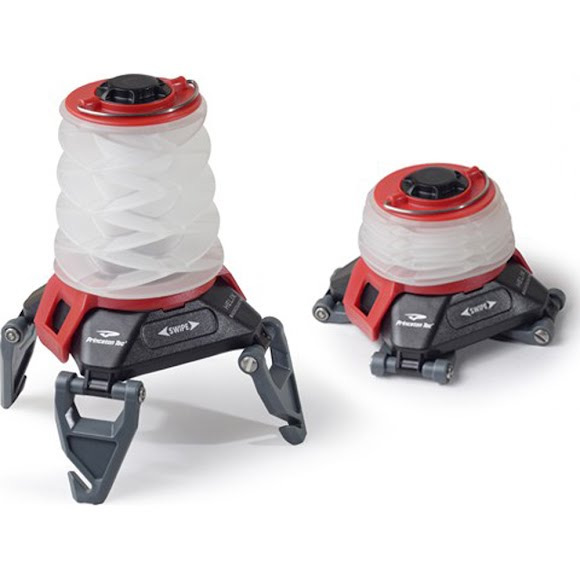 The Princeton Tec Helix Backcountry is a compact, lightweight lantern which puts out a bright beam that&apos;s easy on the eyes - perfect for around camp or in your tent. Helix Backcountry has a unique control surface that is free of buttons, yet gives access to a 150 lumen white mode, dimmable to 30 lumens, as well as a dimmable red mode for low profile use. The expanding globe and folding legs help Helix Backcountry to shine over a wide area. The lantern design also incorporates several hanging options. Multiple settings on many of our products give you the flexibility to adjust your lightÕs brightness and/or beam width to illuminate greater distances or to conserve battery power, depending on your needs.